Toulon is a genuine incarnation of Provence, as it is not one of those garishly painted souvenir shops some other Riviera towns have turned into, smelling of synthetic lavender and selling unauthentic goods. This area features wonderful smells for real: of real lavender and thyme in the market places, of salty sea breeze that wafts the whole coastline, and of a vibrant yet relaxing atmosphere that attracts locals and people alike. 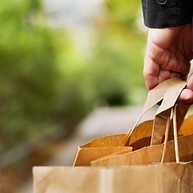 Opening hours: Shopes are normally open Mon-Sat 19am-7pm but smaller shops close down on Mondays. The closing for lunch varies but it usually takes place between 12pm and 2pm. Toulon is the very soul of Provence, as this huge military port reveals its sunny charm nearly all year long: while breathing in the breeze of the majestic sea, you can also take in the fragrances of Provence herbs and oils while experiencing a culturally rich atmosphere that heartily welcomes you to everywhere. 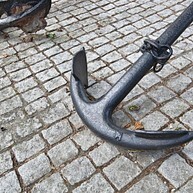 La Musée De La Marine is the right place for learning about the town’s maritime history: from the lives of galley slaves to the attacks of pirates led by Redbeard – not to mention the young Captain Napoleon Bonaparte who helped to destroy the town after it had been handed over to the English after the Revolution. As many tourists are not aware that the Allied landings on the coasts of France took not only place in the Normandy but also here in the Provence, in August 1944, this place shows off those happenings. Head here for refreshing your historical knowledge. This Art Museum houses exquisite paintings from the School of Provence as well as an exhibition about natural history with everything there is to know about the region’s wildlife and minerals. Head here for broaden your mind. 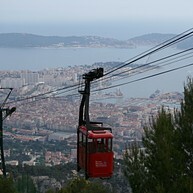 Le Mont Faron, the mountain Faron, is an impressive mountain with amazing views over the bay, and if the mistral is not blowing too strongly, you can get up by cable car. Ask at the office about current conditions, and do take the chance if possible. 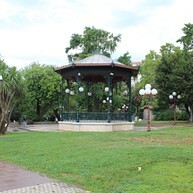 If you are longing for a break from sightseeing, then take a delightful stroll from this charming little square, with a fountain covered in greenery, through the Old Town’s best-known street down to the harbour. You will see and experience a lot without feeling overwhelmed. 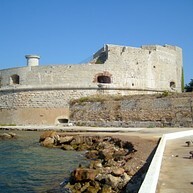 There are about 40 different fortifications all around the bay, and the oldest of them dates back to the 16th century. While of them show off their majesty from afar, you can actually visit two of them: Fort Balaguier and La Tour Beaumont. The blended styles of the Roman Catholic church (Cathédrale Sainte-Marie-de-la-Seds) date back to the 11th century although it could almost be classified as post-modern. As a concentrate of church architecture throughout the centuries, it features a fascinating mixture of styles that wait to be explored. Le Cours Lafayette represents the Provence in a nutshell, as its market stalls feature scents, tastes and sounds from all over the region. While the offer of produces is already worth the visit, you will also meet friendly people and a wonderful atmosphere. 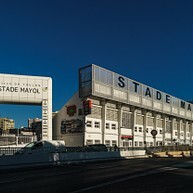 Stade Mayol is Toulon's stadium and it can hold up to 15,000 people. While it is used for different purposes, it now mainly hosts Rugby games so do have a look whether there are upcoming games for you to catch. 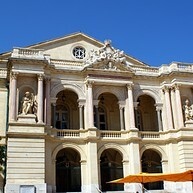 The Opera house is a lovely 19th century building, and it is a must when staying in Toulon. Go to a concert and listen to beautiful classical music or just see what the opera production is on while you are here for your visit. Jardin Alexandre 1er is a beautiful garden located in central Toulon, quite perfect for a short break during sightseeing. 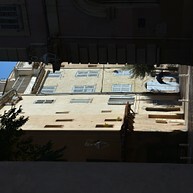 Go there for a walk and just try to relax, while also taking in the different senses in this tranquil environment. 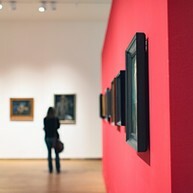 Galerie Michel Estades is an interesting gallery all dedicated to art. While you can enjoy the art of contemporary painters from the 20th century, do also have a look at magnificent glass and sculptor pieces. The Old Town is situated between the Stade Mayol and the naval base, and it does spread some atmosphere that you don't want to miss out. Although there are not that many restaurants you will find a few hidden cafes to sit and relax at, and you can stroll around at the daily market for enjoying refreshing snacks. 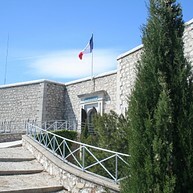 Le Tour Royale, as Royal Tower, is a fort originally built for protecting the port of Toulon in the 16th century. As there is a foot path for you to walk along, you can breathe in that atmosphere while also enjoying the beach and a beautiful view of the harbour. Here at Rade de Toulon, you can take a boat onto the open sea for viewing Toulon and its harbour from a different perspective. While this is a good way of starting your tour of Toulon, it can also be a great closing – however, make sure that you take a boat where a meal is included. This shop is the embodiment of Toulon's soul, and a must have when being in Toulon. 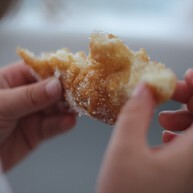 Since 1907, their specialty is the "Chichi Frégi", a sort of sweet donuts, that is still baked after a closely guarded family recipe.